Nowadays, GIF images becomes more and more popular in social apps. Just image that when you chat with your friends, you love to send a GIF picture to others so as to get his attention. In other words, you can even send a GIF file to express your mind instead. SD card is a good place to save the GIF images. However, sometimes we may lose the important GIF images in the SD card when there is something wrong with the SD card, such as it is unable to read. Now, I want to show you how to get back your GIF images from SD card by using the Coolmuster Android Data Recovery. It is a very effective program that can recover your GIF files, photos, videos, audio files, contacts, SMS, call logs and more from your Android devices, both from SD card and internal phone memory. Please choose the Windows or Mac version of the program to be downloaded and installed on your computer. How to Restore GIF Images from SD Card? 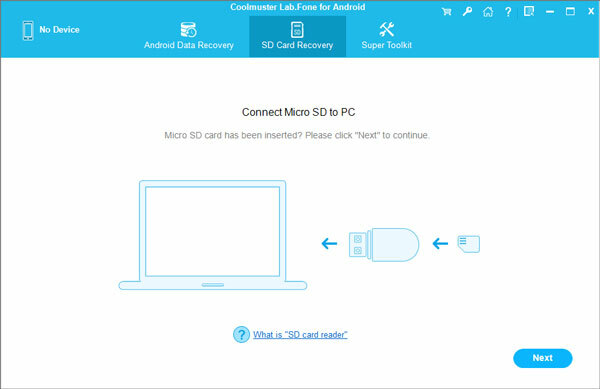 After you have downloaded and installed Android Data Recovery on your computer, launch it directly and choose Android SD Card Recovery mode. 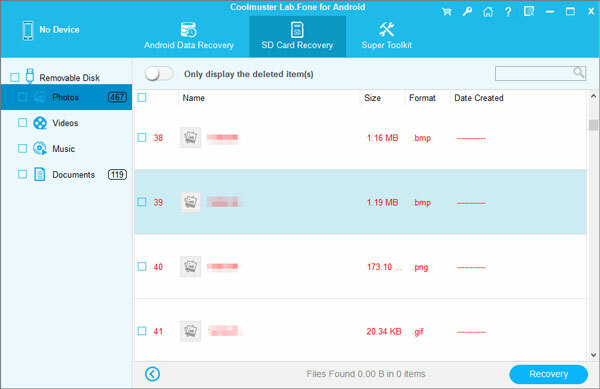 Connect your Android SD card on the computer and it will be detected by the Android data recovery software. 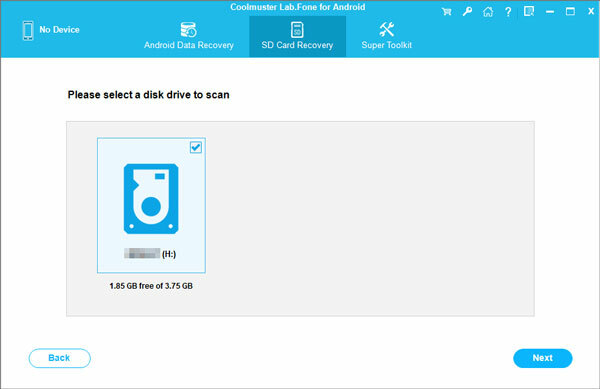 Select the disk drive for your Android SD card and the Android data recovery will start to scan the SD card for lost data. After the scanning, all recoverable file types are displayed here for your selection. Preview the scanned out files and select the GIF images you want to get back. Then, hit the "Recover" button on the bottom right and the Android Data Recovery begins to recover the selected GIF files and save them on your computer.